Steve Physioc – Quite simply, the nicest guy you you’ll ever meet. This Kansas native is now broadcasting the reigning World Series champion Kansas City Royals baseball games but his path back home will have you listening in awe. Steve was my first broadcast partner at Fox Sports calling college football games, and he took me under his wing from day one. His advice was incredible but it was how he lived each day that impacted me the most--with integrity and an unquantifiable love for his family. Listen as Steve’s soothing voice, powerful quotes and mastery of storytelling will bring tears to your eyes, chills to your soul and remind us all that life is short, and it is to be lived with a full heart. Follow Steve on Twitter for updates on his life, his family, yoga, his new book and of course, his Royals. 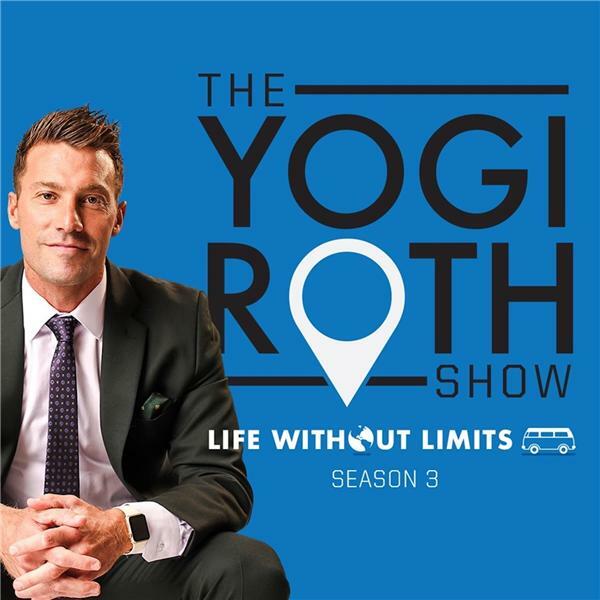 Follow #LifeWithoutLimits podcast on iTunes, listen on BlogTalkRadio or at www.yogiroth.com.